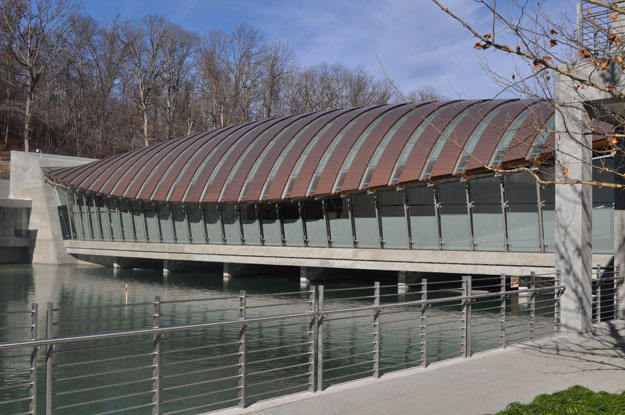 When Safdie Architects were designing the 93,000 square-foot Crystal Bridges Museum of American Art in Arkansas, they turned to Hunter Douglas Contract Window Coverings Specialty Group for custom shading solutions. 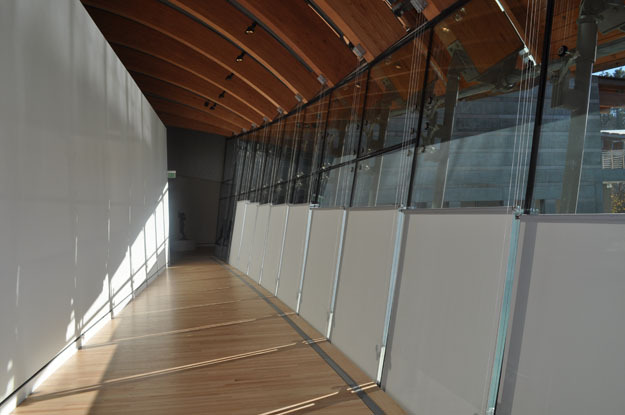 The architects’ use of large-scale windows throughout the complex provided a sense of connectedness to the natural setting and enhanced views of the surrounding landscape, but also posed a unique set of challenges in regards to solar control. 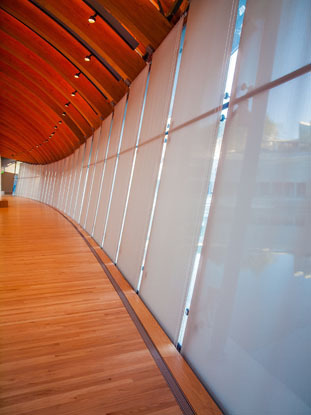 Hunter Douglas Contract solutions which included a wide variety of manual and motorized roller shades, customized gravity drop wire guided motorized systems for trapezoidal windows, customized bottom up tension systems, and horizontal blackout tension systems help to manage the amount of light and energy entering the building, allowing museum visitors to comfortably view the collections. 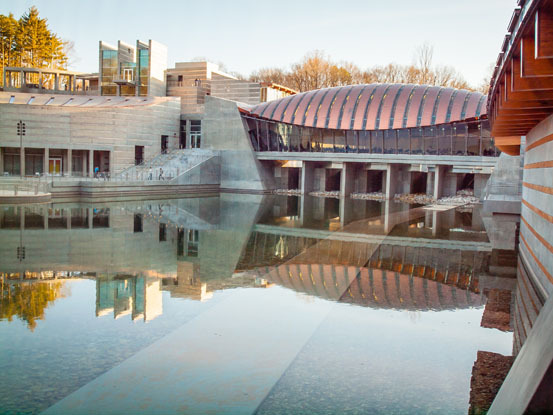 The Crystal Bridges Museum is the country’s newest showcase of American Art and features works from colonial portraitists to contemporary artists, such as Andy Warhol. 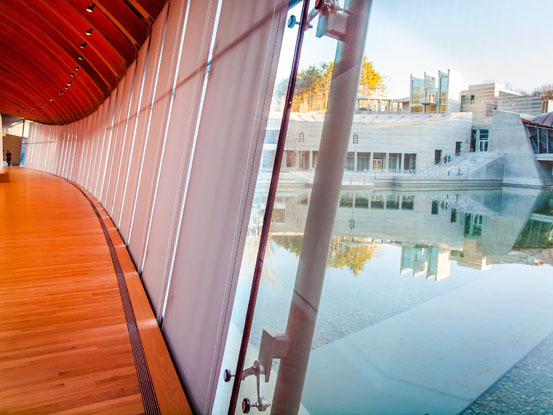 The museum is the centerpiece of a mix-used public space that incorporates art galleries, a library, lecture spaces, outdoor concert space, and educational areas resting on 120 acres.